released March 13th, 2012 by Hyperion. Spell Bound is 327 pages. Source: I borrowed this entire series from my local public library. The Covers. I get it, they’re not fantastic, and there is zero reason for there to be the fancy dress in the second one, let alone a cat. DO NOT FEAR: there’s not a single cat in any of these books. Sophie’s allergic. Also, the first and third covers make sense to me, even if they’ve again chosen a cover model that doesn’t’ look like our curly-haired protagonist (let’s talk about the lack of curly haired girls on covers shall we?). The premise. Um yeah. It’s about a boarding school for naughty witches, wizards, shapechangers, and fey. CHEESY AS HECK I know. But bare with me here because it is not your average YA paranormal, and it is so much better than it sounds! The title. Hex Hall? Really? 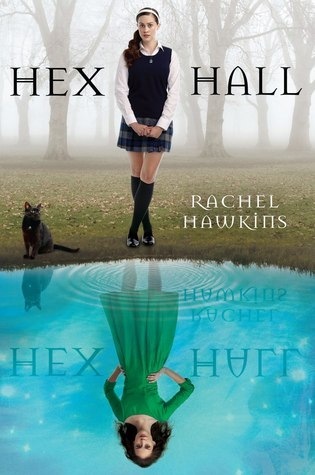 Again, totally cheesy, but it’s the student’s nickname for Hecate Hall (the school), and considering that only the first book takes place entirely at Hex Hall, I’m not sure it was the best choice for the series. Also note that Rachel Hawkins herself had little to nothing to do with the naming process, so don’t look at it as indicative of her writing. Love triangle. Yep. There is one, I can’t deny that. I will say that it is not of the insta-love, we’ll be together forever variety. In fact, it’s a pretty legit development on both sides, and I totally loved both the guys involved (well, I loved one a little more than the other, but who wouldn’t?). Sophie Mercer. Friends, Rachel Hawkins is hilarious. In turn, her lead woman, Sophie, is hilarious. Seriously. I know we see snark and sarcasm and funny in a lot of places, but rarely do you see it to this level in a character that just won’t quit. Sophie doesn’t tone it down when she’s uncomfortable or scared or nervous, she turns it up! The boys. Archer and Cal, man. I would be happy to make out with either of these dudes (if they were like 10 years older that is). Trust me, this is a love triangle you don’t want to miss. Kissing galore! You heard me. There are so many good kissing scenes in these books, if you don’t come away a satisfied reader, YOU DON’T LIKE KISSING. The girls. Okay the girl cast is just as awesome. Sophie’s roomie and best friend is a lesbian vampire with PINK HAIR. And the mean girls? They’re such quintessential mean girls in all of the best ways—including the art of the three-way glance. Elodie is one of my all time favorite frienemies. Unique lore. 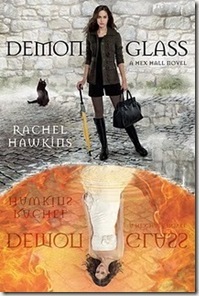 Rachel Hawkins creates such a cool world with all of the various paranormal creatures. I mean come on, THE Lord Byron is a vampire and a teacher at their school. How fun is that? I won’t say much lest I give anything away, but this really isn’t your average witch story. Twists! I tell you now YOU WILL NOT SEE IT COMING. And by ‘IT’ I mean a number of things, because this series is full of unexpected twists and turns that leave you somewhere you never thought you could be when picking up a book called Hex Hall. 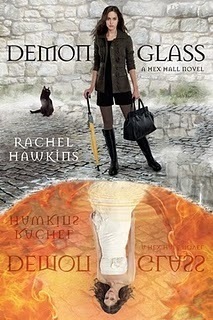 Likelihood that I’ll be back for more: Get this, Rachel Hawkins is writing a spin off series and I am so excited. I’m not sure what character it is, but no matter who or what, I’m in. I’ll admit I had my issues with Spell Bound, but I still wholeheartedly enjoyed the series as a whole. 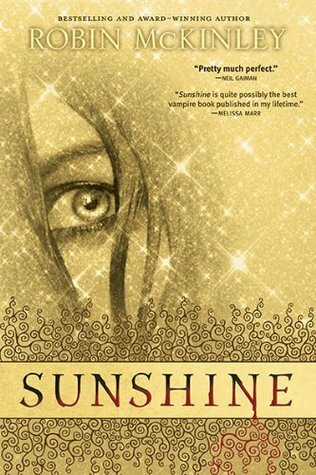 Recommended for: Anyone who enjoys fun YA paranormal. This series isn’t mopey and angsty, and where it is it mocks itself for it. 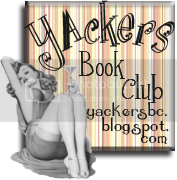 It is fun, hilarious, and will put you on the edge of your seat in anticipation. « How to spot a Bunbury in the wild (or, at BEA). Thank you, and yes! Rachel Hawkins whole series was surprisingly funny to me. It was really refreshing every time I picked on up, I’d kind of forgotten how much they made me laugh. I’ll be excited to hear what you think if you do read them! B-but…I WANTED there to be a cat. A talking one. False advertising! I’ve actually read the first two of these and you’re right; Rachel Hawkins is hilaaaaarrious. I didn’t pick up the third because, well…I may or may not have read a few spoilers and found out about THE THING that happens and I just don’t think I can face it. Great list though! I love that you spelled frienemies with an i. I’ve always spelled it like “frenemies” but your way makes a lot more sense. Or maybe there should be two alternate spellings: one is leaning toward friend and one is leaning toward enemy. And yeah, the fact that there was a prominent cat on the covers and not a single one in the books drove me nuts. Seriously? Was that necessary? And yes, THE THING. I can understand not wanting to face it, if I knew exactly what was coming, I may not have either. I’m usually pretty cool with authors doing things, and sometimes even enjoy them, but in this case I just found it SO UNNECESSARY. The aftermath moreso than the actual event even. Made me angry. And Rachel Hawkins won’t like me when I’m angry. HEIDI SMASH. Hahaha, it’s funny to me hearing people say they would like a talking cat having read the series, because it really wouldn’t fit this particular book at all. Salem was exactly what I had in mind prereading though! I hadn’t noticed Hawkins’ naughty Tweets. Hopefully she won’t do so in the future! I must agree, everything from the covers to the premise has some serious cheese factor going for it. That’s one of the reasons I didn’t read it for so long. I noticed the cat comments up there and I must agree. The series doesn’t need a cat or anything, but it drives me absolutely insane that there’s a cat on the cover but no cat in the series. It makes no sense! Yay! 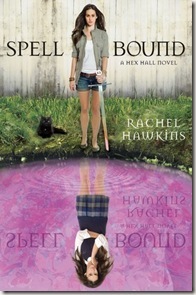 I’m so excited to hear what you think of Spell Bound. And yes, total cheese, but so pleasantly surprising. 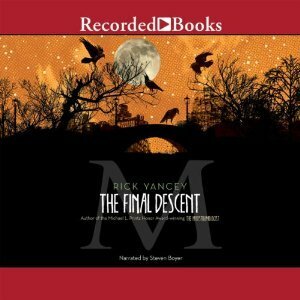 I have been wanting to read this series for some time. I think I may have to go get it! Ah! I hope that you do, Ashley! It’s surprisingly good, and I really can’t think of anyone I know who’s read it and hasn’t liked it.